Now, before we get into the logistics of the 2014, 2015 or 2016 Chevrolet Corvette Z06 or Z07 or whatever it is called – I should remind everyone that we had this same discussion eight years ago when we were speculating on what kinds of high performance models might be introduced for the C6 Corvette. 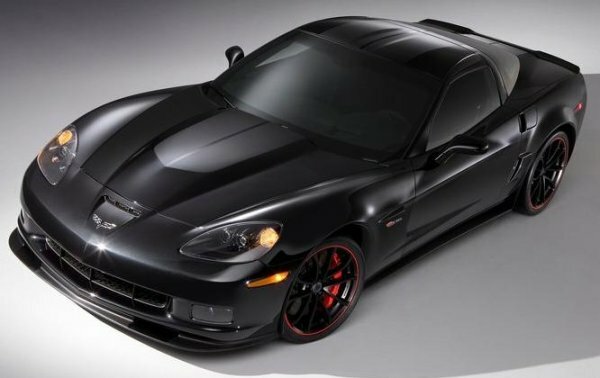 At the time, rumors suggested that the Z06 would be trumped by a new Z07. The car that many believed would be the Z07 was also rumored to have been called the Blue Devil but when this ultra high performance hit the market in 2009, it was the car that we have all come to know as the remarkable Corvette ZR1. Based on all of the rumors and discussions back then, I am hesitant to put too much weight on any Corvette trimline rumors but in the end – the new C7 Stingray is awesome and it’s fun to talk about it. The newest 2014 Chevrolet Corvette Stingray rumors come from the folks at Car and Driver, who believe that the first high performance version of the C7 will be the new Z07. While the naming is similar to the current Z06, the fact that it is based on the 7th generation of the Corvette and that is will likely go away from the naturally aspirated 7.0 liter V8 seems like a good reason to also go away from the Z06 name. C&D believes that the Z07 will be powered by a twin turbocharged V8 that will be considerably smaller than the 6.2 liters used by either the current 2014 Corvette Stingray or the previous Corvette ZR1. Cadillac recently debuted their new Elmiraj Concept with a twin turbo V8 measuring just 4.5 liters and pumping out 500 horsepower so that engine could be a precursor to the next generaton super Vette. This smaller twin turbo V8 could allow the Corvette Stingray Z07 to offer great fuel economy (as high performance cars go) but it will also pack somewhere in the area of 600 horsepower. That’s right – speculation suggests that the first higher performance version of the 2014 Chevrolet Corvette Stingray will be the new Z07 with 600 horsepower. That is a significant jump from the 505 horsepower offered by the C6 Z06 but it would still leave plenty of room for yet another Corvette package with even more power – like the next generation Corvette ZR1. The current ZR1 packs 638 horsepower and even though I would be blown away if the next ZR1 didnt get at least a minor boost in horsepower, there would still be a gap between the 600hp Z07 and the 638hp ZR1. Then again, there have been unsubstantiated rumors that the next ZR1 could see the power numbers creep up around 700hp but that is for a different discussion. Aside from the small displacement, twin turbocharged V8, the Chevrolet Corvette Stingray Z07 will likely pack a high tech carbon ceramic braking system, a serious track tuned suspension setup that will likely include a new version of GM’s adjustable magnetic suspension technology and a flurry of lightweight body panels comprised of carbon composites to get the weight down well below that of the standard 2014 Corvette Stingray coupe. These lightweight body panels will probably follow similar design cues to that of the current Z06 and ZR1 with a more menacing, race ready stance than the “normal” C7 Corvette. Finally, the Corvette Z07 will likely also wear some lightweight (and massive) rims wrapped in high performance rubber and badging all around to make it clear that this is no ordinary Stingray. The only bit of bad news for GM performance lovers from the Car and Driver report is that the new Corvette Stingray Z07 is expected to hit as a 2016 model year vehicle – which means that it wouldn’t hit the streets until sometime in the latter stages of 2015. Should that be the case, prospective Corvette buyers who want to go really, really fast will have to either rely on the already-extensive aftermarket for the 2014 Corvette Stingray with the new LT1 or they will have to wait around two years to buy a new super Corvette from their local dealership.